First head over to the top left corner of Xcode. Click on the Project Navigator to show all your files. Next click the big blue A icon right at the top of that list. Just right of it you see two headings: Project and Targets. Click on your app name under Targets. 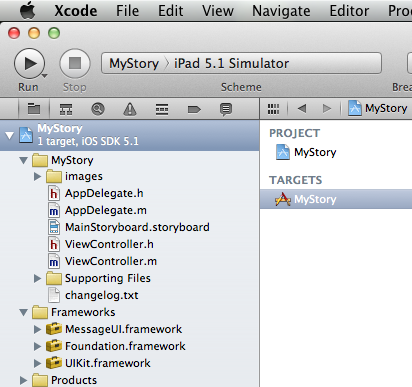 If this pane is not visible, have a look at the far right of Xcode for the three panel icon. Make sure the left one is clicked (they call it The Navigator). Find the Link Binary with Libraries section and expand it. Here’s a list of currently added Frameworks. Click the + sign to add another one. You’ll also find the same dialogue at the bottom of the Summary tab. NOTE: Adding a Framework will add the physical files to your project. It will NOT however automatically import it in your header files so it’s not “active” once it’s added. Feel free to move it to the Frameworks folder.